They are tanned and ready to use, the hides are obviously natural and therefore we can not give exact measurements. These hides are top quality and at a fraction of the price of most other retailers, as we are the importer and therefore you can cut out the middle man. 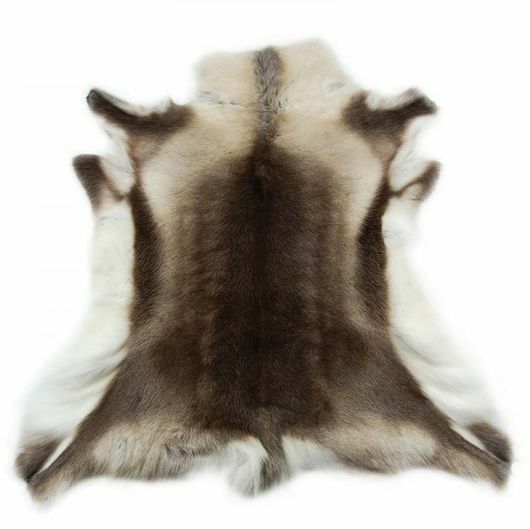 the pelts are Grade A which means the reindeer was killed in the Winter months, it has dense thick hair, ideal for rugs, throws, camping, etc. Reindeer hides are extremley warm and have excellent thermal qualities as the hairs are tubular and lock in the warm air.